Home Loan Financing with Accredited Mortgage Services means a Mortgage that closes on time without the hassle. Whether you are a first time buyer or an experienced home owner, purchasing a new home can be a stressful process. We take the stress of your shoulders and walk you through the process every step of the way!! We will find the best options and programs for your specific needs. 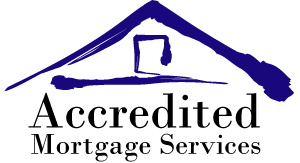 At Accredited Mortgage Services, we take into account all of your needs, finances and history to help you choose the right home loan for you.